My Favorite Low- Carb, Sugar-Free, Guilt free Chocolate Bars - Eat. Lose. Gain. Chocolate is every girl’s best friend. So why shouldn’t a healthy diet include it? And so my search began for guilt free, sugar-free chocolate bars. Just something I could enjoy as an occasional treat that I didn’t have to feel guilty about. Dark chocolate especially is full of antioxidants. That’s healthy, right? The biggest issue with chocolate bars is all that sugar. It’s so fattening and just generally inflammatory. And something you for sure want to stay away from when you’re trying to drop a few pounds. Sugar intake is a big ‘no no’ on popular keto and low-carb plans. 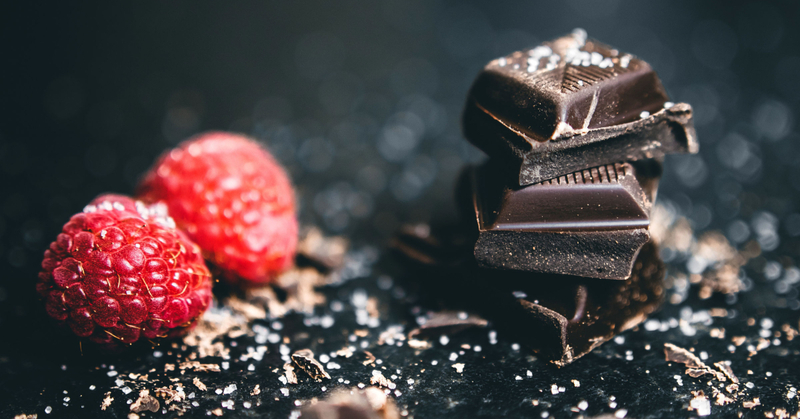 You can eat lots of tasty foods, but what should you do with chocolate cravings? And sugars gotta stay pretty low for any other diet plan you choose. But don’t feel you need to say goodbye to chocolate bars just yet. What if you could take the sugar out? Then a chocolate bar isn’t something you don’t have to feel that bad about eating. I mean, you don’t want to eat it every day. But wouldn’t it help you stay sane with your healthy eating if you could give yourself an occasional treat that won’t disrupt your progress. So here are some of the best low-carb, sugar-free, guilt free chocolate bars. If you’ve shunned chocolate for your diet, get ready. Because these feel good treats will allow you to bring a little sweetness into your life. I’m starting with my personal favorite chocolate bars. I love all their options like Dark Chocolate, Blood Orange, Sea Salt, and Crispy Rice. And they come in such pretty packaging. It makes me even more excited to eat them. As a bonus, they use Fair Trade Cocoa. So you can feel like you’re not just assisting your waistline. You’re helping communities throughout the world. Plus, they’re non-GMO too. Here’s how the Lily’s Sweets stack up. This one I most usually see at Trader Joe’s. They usually keep it by the checkout counters as an impulse buy. And the product placement has definitely worked more than once. It’s economical and can hit the spot when chocolate cravings call. This bar advertises itself as low-carb. However, don’t get this for your Keto diet. It contains a sugar alcohol called malitol which can cause slight shifts in blood sugar. And while that isn’t a disaster, it will take you out of ketossis. We’ll get into Keto friendly bars shortly. This one isn’t a conventional chocolate bar. It’s really a protein bar. But it is low-carb without any added sugar. So it’s a way to fulfill those chocolate bar cravings without completely blowing your diet plan. It isn’t as sweet or creamy as a regular chocolate bar. But it does offer 20 grams of protein which the others do not. So if you’re craving chocolate before a workout, this could be a satisfying way to go. Again, this one might not be good for Keto. Remember I said we’d get to bars that are perfect for those Keto chocolate cravings? Well, here we are. If you’re not Keto, you may want to enjoy these with caution. They’re really high fat to fulfill Keto requirements. But that’s a little too high fat for someone not doing Keto. This company boasts that their bars are made from whole food ingredients – nothing processed. You can feel good looking at the label and being able to pronounce everything. They don’t have simple milk and dark chocolate but a variety of fun flavors. Nutrition for Keto Bars Mint Chocolate Bar. What started as Bulletproof Coffee has transformed into a line with a wide array of products. And one of those products is Keto friendly chocolate bar. These chocolate bars have a whopping 27 grams of fat. So don’t get this if you’re not doing Keto. Keto is purposely a high fat diet meant to help you get into a state where your burning fat as ketones. But if you’re eating a standard low-carb or clean eating diet plan, you don’t want that much fat. These are higher calorie as well. But this is perfect for the keto diet which is a high fat, potentially high calorie diet. So choose this for Keto only. So these are some of the best low-carb, sugar-free, guilt free chocolate bars. Keep in mind – all of these have sugar alcohols. These can cause digestive issues. Some of these have artificial sweeteners which can cause inflammation. So proceed with caution. Remember – moderation is key. But one of the most important factors for lasting weight loss is to stabilize blood sugar. No matter whether you do Keto, low-carb, paleo, Whole30, or anything else, that is the key to weight loss. And these chocolate bars, in moderation, can help you stay on track. Gotta love chocolate. So stop denying yourself. Take a square (or two!) And enjoy the mouth melting, ooey, gooey, decadent indulgence of chocolate!